Many a runner has said that. In fact, 'clearing my head' is an important motivator for lots of runners. And that's no suprise considering the fact that we have about 70.000 thoughts per day. No wonder we'ld like a break from all the noise in our heads. But why is it, that running helps to get a clear head? Richard de Leth has an explanation! Richard de Leth studied medicine at the VU in Amsterdam. And he wrote several books about healthy living. To understand his explanation about the effect of running on our thoughts, it's important to know that our brain can be divided into 3 sections. Our brain consists of 3 parts. The oldest part is the reptilian brain. It's millions of years old and is like your own personal bodyguard. It's always on the lookout for any danger. And when there ís danger, it's your reptilian brain that reacts first. So let's say you're running along minding your own business, when suddenly you see an angry bear coming at you! That's when your reptilian brain takes over. The limbic system: this is where our emotions reside. Our frontal cortex. This part of our brain is only 40.000 years old. So compared to our reptilian brain it's a Noob. It's the part of our brain that makes us intelligent and enables us to think. 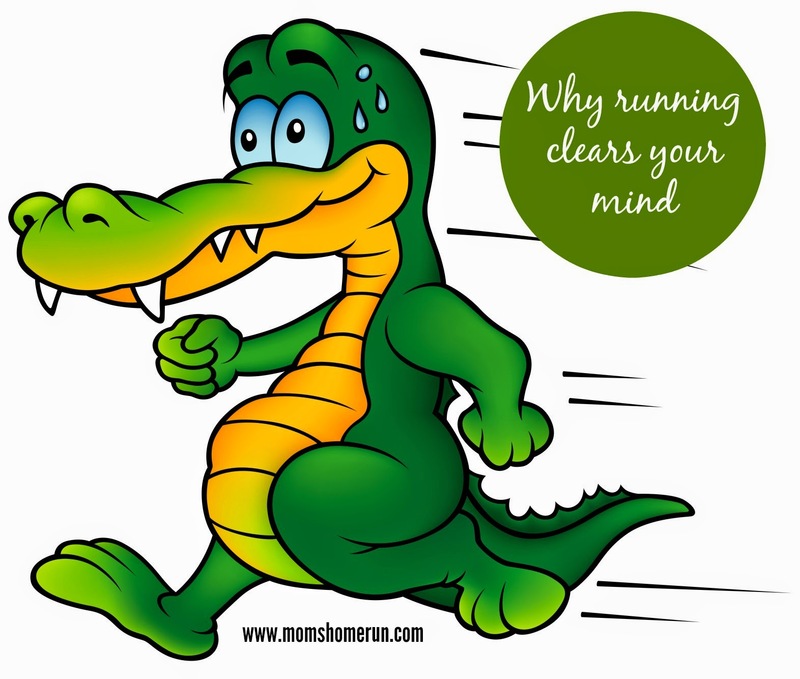 So why does running clear your mind? According to Richard de Leth we run with our reptilian brain. Worrying and thinking, we do with our frontal cortex. I think it's an interesting theory! It's definitely a plausible explanation for the calming effects of running! Interesting fact to know...I had no idea. Thank you for sharing with us at #homematters Linky party. I'm a runner and whenever I'm acting stressed my husband says 'why don't you go for a run'. It certainly clears your mind and makes me feel much better. Thanks for sharing with us at #AnythingGoes link up party.